“It’s really amazing what he has achieved in such a short time,” says Biegel. “I thought what better way to showcase the three ACS journals he’s been a part of than by making him a journal t-shirt.” Prior to the introduction of ACS Energy Letters in 2016, Professor Kamat served as Deputy Editor of the Journal of Physical Chemistry Letters. His contributions to ACS Publications over the years have led to quite the collection of journal-themed apparel! 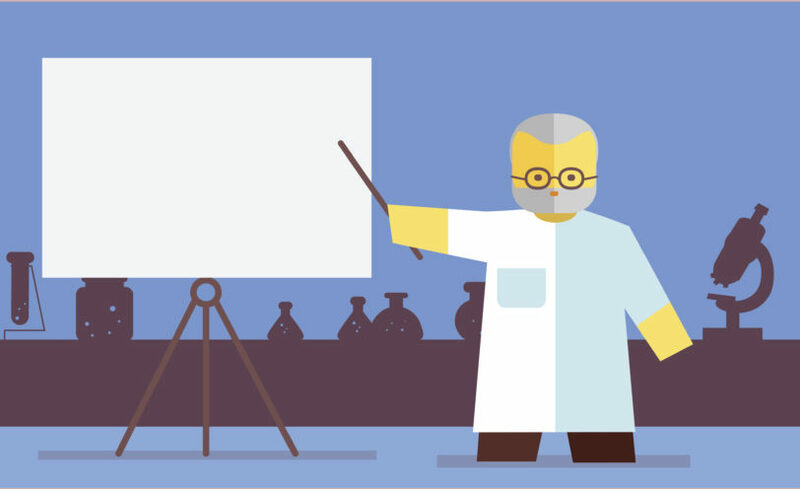 Want to replicate this marvel of chemistry craftsmanship? It’s easier than you think, at least according to this tutorial from the National Quilters Circle. All you need is a reliable sewing machine, a pile of t-shirts, and a steady hand. Not the crafting type? You can send a selection of old shirts to an Etsy user like this one, and they’ll quilt it to your specifications. 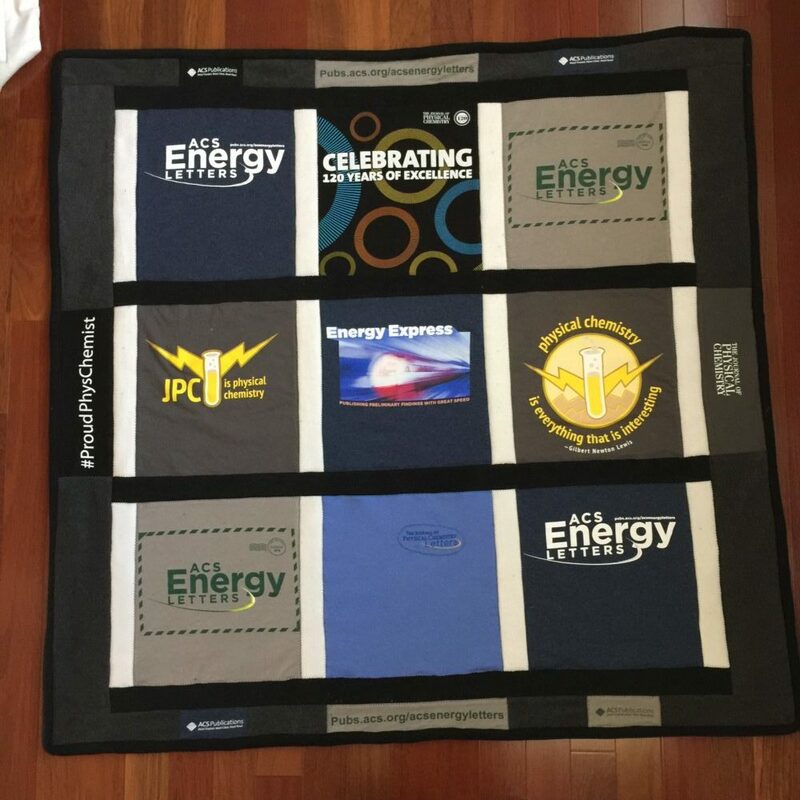 Speaking of blankets and chemistry, did you know that ACS offers current members a special periodic table throw when they recruit a new paid member? Nominate a colleague today and stay cozy all winter. Not yet a member of the ACS? Join today using this URL and take 50% off membership dues through December 31, 2017.